It is no secret that natural blue diamonds are like no other. However, these diamonds are very rare and therefore very expensive. This beautiful piece was graded by the GIA as very light blue diamond. This means that it has a very delicate blue shading - beautiful, elegant and unique in a romantic cushion cut shape. Since the color saturation is delicate it has a price great tag, especially considering its weight of 0.64 carat. 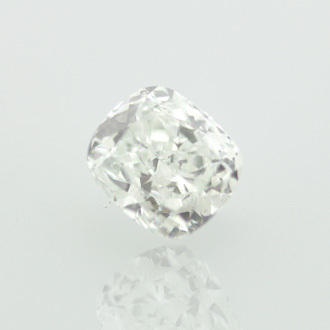 This diamond offers great value for money and is one of our favorites.